Prince George Veterinary Hospital is aware of the vast amount of information available on the internet. Our team has taken the time and evaluated the following sites. We trust the information the listed websites provide to you, our client, and member of our family. 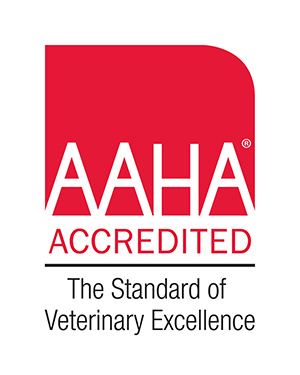 American Animal Hospital Association - See why we are excited about being accredited and what that means for you, the pet owner. ASPCA Toxic & Non-Toxic Plant Listing - Information for pet owners. Association of Feline Practitioners - Feline health information. Association of Pet Loss & Bereavement - Provides support during this most difficult time. Canadian Food Inspection Agency - Where to start for information about taking your pet to another country. Canadian Kennel Club - Provides information about dog breeds, breeders and more. Canadian Veterinary Medical Association - Answers to commonly asked questions with links to other helpful information. Cat Fanciers Association - Information on cat breeds, cat care, upcoming cat shows and more. City of Prince George - Pets & Off Leash Areas - Where to enjoy the outdoors with your dog within the city. College of Veterinarians of BC - Regulation and advancement of the veterinary profession in B.C. Cornell University Poisonous Plant Listing - Information about plants poisonous to humans, pets and livestock. Feline Chronic Kidney Disease - A wealth of information for the cat owner needing more information on this disease. Indoor Pet Initiative - Excellent information for dog and cat owners. Pawspice - Quality of Life Scales for dog and cat owners trying to make one of the most difficult decisions. Pet Insurance Reviews, Comparisons and Company Listing - Learn about the companies available in Canada. Pet Nutrition - Hill's - Information regarding Hill's Prescription Diets for dogs and cats. Pet Nutrition - Royal Canin - Information regarding pets and nutrition; nutrients versus ingredients and more. Ticks, dogs and disease - Idexx Laboratories provides information, including an interactive map of North America. Veterinary Partner - Information about animal health, medications, therapies, surgery, behaviour and pet safety.